At AEIB, satisfying our customers is of utmost importance to us. 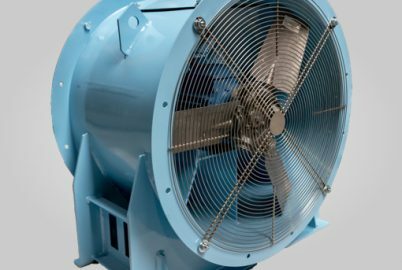 To meet your needs in all sectors, we manufacture ventilation products in many different sizes, with features and components suited to your own specific needs. We work with sectors that have specific operational and control requirements, particularly in the defence sector, such as the Army, the Navy, or even the Nuclear Industry. Many other areas may have specific requirements for ventilation or sanitation in a given place. Please do not hesitate to contact us for any further information. Our special designs include: fans for the Nuclear Industry, fans for the Navy, for oil platforms, ATEX chambers, specific chambers and cleaning filters. Cleaning filters are also tools for filtering industrial dust collection. They are used to separate dust carried through air ducts thanks to the special backwashing technique. We guarantee quality and expertise for the manufacturing and test phases for all our products, which are all ATEX certified (according to the 94/9/CE directive), ISO 9001, and in compliance with the strictest European standards. Our technical team offer a complete design and manufacturing service for custom requirements. Please do not hesitate to contact us for any special request.